The mission of the American Egg Board is, to quote their website, “to increase the demand for eggs and egg products through research, education and promotion.” To accomplish this goal, they may present misleading and even falsified information and scientific studies to the public. 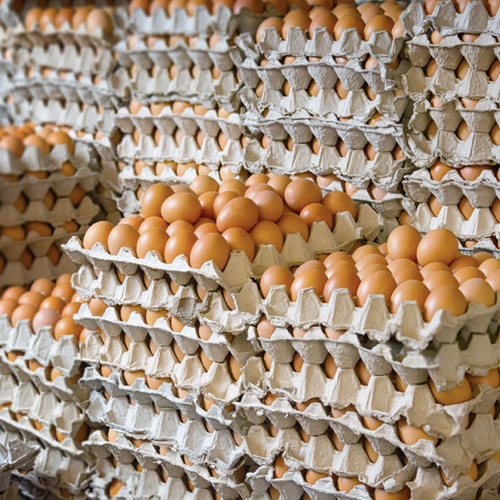 Cholesterol’s role in heart disease is of particular interest to the egg industry. The Egg Nutrition Center was created by the American Egg Board in order to downplay the risks of the cholesterol found in eggs to vascular health. They use multiple strategies in order to obtain the results they want, including performing the studies on subjects who begin with elevated cholesterol, comparing changes in cholesterol to those seen in response to foods very high in saturated fat, and only measuring fasting cholesterol. The egg industry also pays scientists to try to discredit studies that suggest cholesterol promotes human disease. Choline has been recently raised as a concern about the safety of egg consumption with regards to the development and progression of cancer and atherosclerosis. The American Egg Board, however, continues to promote the choline content of eggs as a selling point. The American Egg board also cites nutrients such as lutein as health promoting components of eggs even though these may only be found in trace amounts. The U.S. government does exercise some control over the egg industry’s ability to mislead the public about their product via the USDA advertising regulations; if egg companies wish to use American Egg Board funds to create advertisements, they are legally not allowed to use the words: “healthy,” “nutritious,” “healthful,” “good for you,” “safe,” “part of a healthy diet,” or “a good source of protein, lutein, folate, Omega 3s, or iron.” The egg industry not only lobbies politicians to maintain the current egg friendly nutrition policies in the USDA dietary guidelines, but members of the American Egg Board serve on the committees that determine what the dietary guidelines will be. Image Credit: pzaxe © 123RF.com. This image has been modified. The cholesterol in eggs not only worsens the effects of saturated fat, but has a dramatic effect on the level of cholesterol and fat circulating in our bloodstream during the day.